Shu-Yin's Sanctuary: Happy 1st Birthday Ashley Khoo! 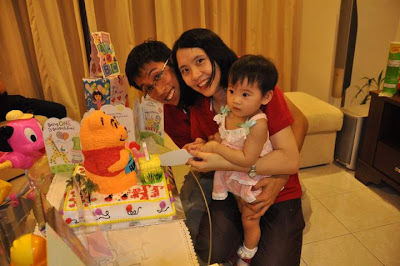 After attending Andrew & Ai-Leen's wedding dinner last Sat, we went over to Justin & SS's place to celebrate Ashley's 1st Birthday! I so loved the cake! 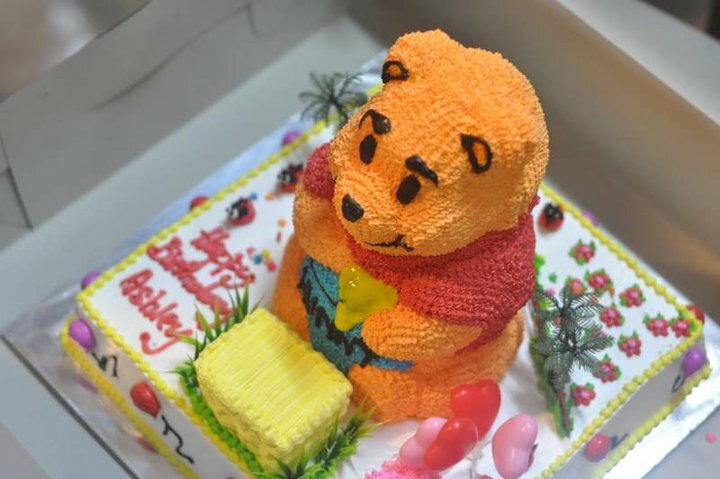 Although I'm not much of a Winnie The Pooh fan, I must admit that the cake looks so gorgeously yummy! Too nice to be eaten! 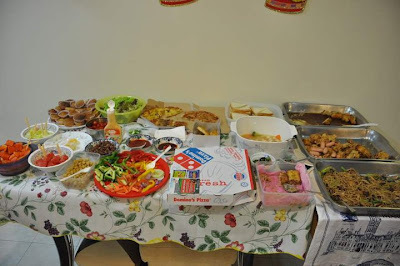 There was still a lot of food left when we arrived at around 10.30pm. 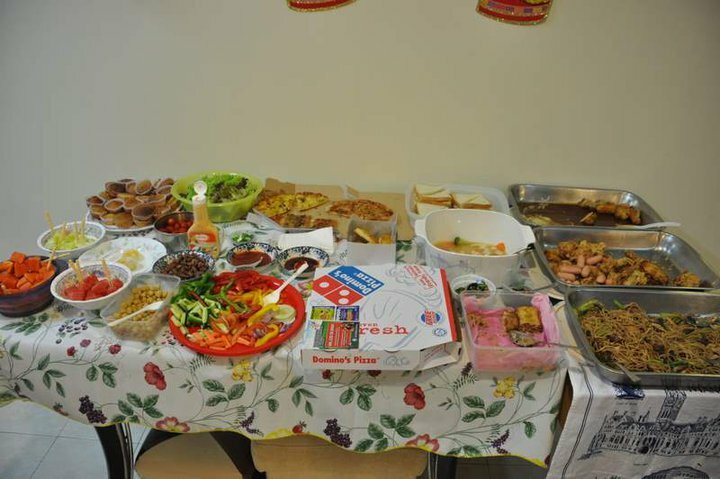 Amazingly, all the guests were still there! 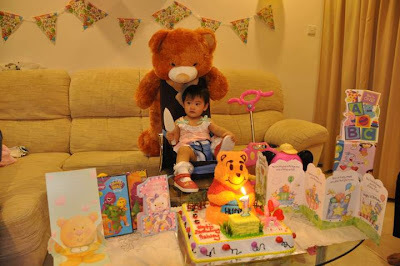 And don't you think the Birthday Princess looks so cute? The Papa & Mama didn't look too bad either! 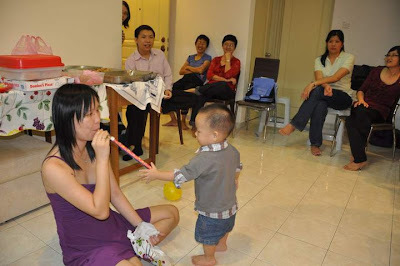 Me, being the super mum continued to entertain Shern whenever he made a fuss. Shern was fascinated with the party pack that he received that night and was overjoyed when he saw a toy car in it! Shern was also being a super baby that night. We left their place at around 12 midnight and Shern was still wide awake then, not even rubbing his eyes once. But the moment we reached home, he was so tired that I did not even bathe him which I intended to. I only managed to change him into his PJs and he was already whining there wanting to sleep! Photos courtesy of Justin Khoo.